In recent years, American liberals’ love-affair with all things contemporary Western European (sans Margaret Thatcher and Benedict XVI) has acquired an increasingly desperate edge. As evidence for the European social model’s severe dysfunctionality continues to mount before our eyes, the American left is acutely aware how much it discredits its decades-old effort to take America down the same economic path. Hence, the ever-more screechy insistence that Europe’s existing mess is due to specific, even one-off factors. Exhibit A in this regard is the New York Times‘ Paul Krugman. In his latest missive on this topic, “What Ails Europe?” our Nobel Laureate informs us that European welfare states aren’t central to the problem. Sweden, he points out, is doing well, despite the fact it has a large welfare state. Instead, Krugman maintains, what truly plagues Europe is a money problem. Putting aside the fact that Sweden has actually implemented significant welfare reforms and economic liberalization policies since the 1990s, Europe does indeed face huge monetary challenges. Having a common currency while permitting euro-members to violate mutually-agreed debt limits was always a recipe for disaster. Greece could happily splurge on adding tens of thousands of public sector workers to the government’s payroll and financing Chicago-esque patronage politics, while Portugal built dozens of now-idle, often half-finished soccer stadiums. Why? Because everyone knew if things went bad, then preserving the euro (a sacred cow for Europe’s political class) from the impact of nations’ defaulting meant that heavyweights like Germany would go to considerable lengths to try and prevent a currency-meltdown. Yet this amounts to only a partial — and therefore inadequate — explanation of Europe’s present disarray. 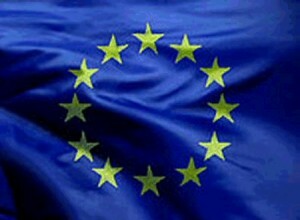 Moreover, it can’t disguise the truth that there’s something even more fundamental driving Europe’s economic crisis. And this reality is that the Social Democratic project is coming apart at the seams under the weight of the economic policies and priorities pursued by most Social Democrats (whatever their party-designation) — including the American variety. From the beginning, post-war Social Democracy’s goal (to which much of Europe’s right also subscribes) was to use the state to realize as much economic security and equality as possible, without resorting to the outright collectivization pursued by the comrades in the East. In policy-terms, that meant extensive regulation, legal privileges for trade unions, “free” healthcare, subsidies and special breaks for politically-connected businesses, ever-growing social security programs, and legions of national and EU public sector workers to “manage” the regulatory-welfare state — all of which was presided over by an increasingly-inbred European political class (Europe’s real “1 percent”) with little-to-no experience of the private sector. Above all, it slowly strangled the living daylights out of economic freedom in much of Europe. Without Germany (which, incidentally, also engaged in welfare reform and considerable economic liberalization in the 2000s), it’s hard to avoid concluding that Social Democratic Europe would have imploded long ago. Then there are the pointed criticisms of the European model expressed in a recently released World Bank report. Outside the parallel universe inhabited by Occupy Wall Street and assorted fellow-travelers, few would accuse the World Bank of harboring many radical free marketers, let alone the “neoliberal” bogeymen regularly conjured up by European politicians. Among other things, the report refers to weak work incentives, anemic entrepreneurship levels, feeble venture-capital markets, over-regulated service sectors, European businesses choosing to stay small to avoid compulsory unionization and extra red-tape, labor markets crippled by powerful restrictions on companies’ ability to dismiss employees, research and development steadily falling further behind America, and on-going declines in annual work hours. The report also notes that Europe, with just 10 percent of the world’s population, accounts for an astonishing 58 percent of the entire world economy’s spending on social protection. Such is the long-term economic price associated with what amounts to many Europeans’ near-obsession with securing economic security and equality through state action. It also has made a continent that once literally ruled most of the world into a textbook example of the basic un-workability of the Social Democratic dream. Hence, it’s little wonder that Krugman and others dismiss those who warn of disturbing parallels between Europe and America as having “no idea what they’re talking about.” The purpose of such remarks is to shut down discussion — just one of American liberalism’s many illiberal traits — in the face of awkward truths and facts. In a way, we’re been here before. Prior to Communism’s defeat in Eastern Europe and the former USSR, many American liberals were in denial about the performance of command economies. Another Nobel Laureate, the late Paul Samuelson, argued in the thirteenth edition of his renowned textbook Economics, that “the Soviet economy is proof that, contrary to what many skeptics had earlier believed, a socialist command economy can function and thrive.” Providentially, this edition was published in the year, ahem, 1989. Vulgar? A mistake? Well, I guess all those secret police, informers, “re-education facilities,” barbed-wires, and Soviet troop concentrations in the “workers-paradises” were just there for decorative purposes. In the real world, of course, there are genuine arguments for us to have about what Europe’s present drama means for America. Even some of Krugman’s New York Times‘ colleagues have engaged such questions, albeit rather tentatively. But to just deny that Europe’s failures don’t represent an important canary in the tunnel for America surely reflects a disposition from which American liberals regularly accuse their critics of suffering: instinctual closed-bloody-mindedness. This concern with Europe’s debt and financial woes is interesting. What country has a national debt of $15,592,960,932,106? “Who wins in U.S. vs Europe contest?